Efficient Processes. VMware makes it possible to automate processes and employ utilization to increase IT performance. When IT professionals leverage existing resources and avoid expenses related to infrastructure investment, the total cost of ownership (TCO) is reduced tremendously. Agility. End-users gain a more secure environment with cloud computing. With VMware, IT professionals can be assured that they will preserve IT authority, control and security while remaining compliant. Processes are also simplified to make the job easier. An IT organization is able to respond quickly to organizations with evolving business needs. More Flexibility. IT professionals can use VMware in conjunction with traditional systems for maximum flexibility. The systems may be deployed internally or externally. When configuring VMware, IT professionals are not limited to using any one vendor or technology. The solutions are portable and are capable of using a common management and security framework. Better Security. VMware solutions protect end-points, the network edge and applications through virtualization. The cloud based deployments of security patches and solutions are dynamic and constantly being updated. Automation and Management. With VMware, a highly efficient, self-managing infrastructure can be created. Business rules and policies can be mapped to IT resources when the tools are virtually pooled. Portable and Independent. Open standard VMware solutions provide more flexibility and reduce the dependence on a particular vendor. With this security model, applications are easily portable from internal datacenters to external service provider clouds. The applications are also dynamic, optimized and deployable on public clouds with VMware cloud application platforms. Saves Time. A self-service cloud-based portal is capable of reducing time spent by deploying standardized solutions that have been pre-configured to operate off-the-shelf or out-of-the-box. This method promotes efficiency through automation and standardization. Tailored services are also popular and can be achieved with VMware solutions. IT can remain in compliance and preserve control over policies with VMware. Virtual Pooling and Dynamic Resource Allocation. Virtual datacenters are created by pooling IT resources through abstraction. Logical storage building blocks, server units and network are integrated into the solution to power applications. This process is completed in accordance to regulations and business rules. User demand also plays a role in how these applications are deployed and hosted. Dynamic businesses have a need for a robust and affordable IT solution. Most businesses use 70 percent of their resources focusing on maintenance of servers and applications in a traditional system. With only 30 percent of the IT budget left for innovation, companies cannot grow and provide the type of service and products its clients need and desire. IT management is searching for a better strategy, and VMware seems to be a viable solution. VMware provides users with faster response times. Faster response times lead to lower costs over time. Self-managed virtual infrastructures are efficient and preferred by many businesses. IT professionals can identify which cloud-based solution is best for your company. The choices typically consist of a public, private or hybrid solution. Many companies have successfully implemented these solutions. 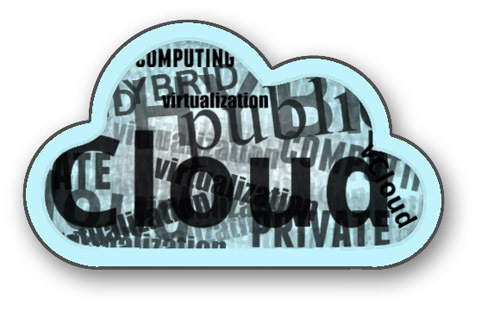 VMware’s cloud infrastructure and management application is commonly known as vCloud Director. This application will allow a company to transition to the cloud at their own pace. The application was introduced in 2011 to provide companies with greater flexibility and efficiency in the cloud. VMware’s solution allows companies the ability to leverage their existing infrastructure. This saved business owners significant time and money. The savings could then be reinvested for innovation. VMware’s cost-effective solution provides an answer to the pre-existing solution of 70 percent spending on infrastructure maintenance. NetApp has exceptional backup and recovery capabilities that are necessary for any company’s disaster recovery solution. Within minutes, VMware’s vCloud Director can recover data. The backup and recovery system is customizable, fast and accurate. NetApp and VMware have a 24 hour per day and seven day per week global staff monitoring the applications and data stored in the cloud. This ensures the data is protected. Technical support constantly works with all parties to ensure issues are addressed promptly and efficiently. Additionally, VMware ensures that resources are available to meet service level agreements. VMware is a viable solution that can be beneficial in any organization. Consider VMware for your business and witness an increase in productivity, efficiency and mobility. VMware solutions are chosen frequently because they work. David Malmborg works with Dell. When David is not working, he enjoys spending time with his two kids. For more information on cloud computing, David recommends clicking here. It came to my focus that your URL’s are not search engine friendly. You could improve search engine ranking by changing to search engine friendly URL’s. This is usually a setting in your Web publishing Software. By the way I have added this Blog Entry to my listings. My intension is, to bring the focus to good VMware resources and support all Bogger’s to increase the traffic to the website. Thanks – I’ll look at changing to friendly URLs. I have been putting this off for a long time. PS, your own URL is not very search engine friendly either… Look at how you entered your home page… Just kidding, simple typo I’m sure. Anyway, thanks – I’ll try this out now, and thanks for adding my blog to your directory! 978 days, 4 hrs and 21 min.